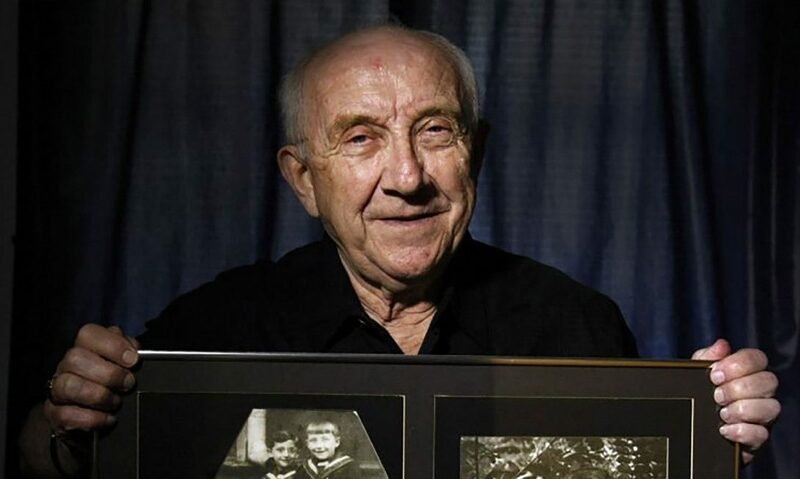 Holocaust survivor Max Glauben, shared his story of survival during the holocaust in the Barry B. Thompson Student Center Ballrooms at Tarleton State University on Monday, Feb. 26. Glauben began his presentation with when he first came to the United States in 1947. He then describes a compound in detail that he experienced when he was younger. “It’s a 600-acre compound. When you visit, on the horizon you see a building that looks like a mushroom. As you get closer to it, it’s as big as the Lincoln Memorial. There’s a level that you reach and the dome is held by pillars. There’s a sidewalk all around the center. The center is protected with a 40-inch wall, maybe 24 inches around there. And when you look into the middle, (there are) seven tons of human ashes with pieces of bone in it that were not burned by the extreme heat of the crematorium. It’s a heartbreaking, tear-dropping situation,” Glauben said. Glauben explained how hard it was to be Jewish during the 1940s. “If you were a professional person, you could not keep your job or do your duties to the public at large if you were Jewish. If you were Jewish, you should not own any property and then looting became the daily routine on the streets. If you were not looted by the Germans, then you were looted by your neighbors. If you were a child, you couldn’t go to school because your teachers couldn’t teach and they didn’t want to let you into another school to mix with other kids because we were bullied into being monsters. Immediately the first victims became the children, the handicapped, some minorities and the elderly,” Glauben said. Both sets of Glauben’s grandparents and his brother had to hide, along with Glauben. “The kids became the backbone and we risked our lives to smuggle in food that had to be stolen or bartered because no one wanted to deal with a Jew,” Glauben said. People were dying in their apartments, but there weren’t enough able bodies to carry the deceased to the cemetery so sometimes they had units of four to five people handling one body on a wooden cart with wheels made from plywood cut out instead of regular wheels. There weren’t any sides to the cart so while they were riding on stones, bodies were falling off the cart. Glauben and his family were ushered into boxcars and were led on a journey to Majdanek, Poland that lasted for five days. The procession began by a German soldier making an announcement, asking for women and children first. Glauben started to move but his dad grabbed his hand and told him to stay with him. He didn’t see his family after that until he received a phone call 42 years after the holocaust had ended, notifying him that his two aunts were alive. “I got a telephone [call] in my office and somebody told me to sit down. Two of my father’s sisters were taken to a factory and found me 42 years after the holocaust in Dallas, Texas, and it was in the news all over the world. One of them had a stroke and is no longer here, but the other one is 96 and I spoke to her a couple of days ago. [She] lives in Philadelphia and she has 3 children,” Glauben said. During one of the camps that Glauben was staying in, he received one slice of bread and one bowl of soup a day. The prisoners went out in sections and the soldiers would count to make sure everyone was accounted for. However, one time, the soldiers noticed that three people were missing. “All of a sudden they saw that three people were missing from our group. You could use an outhouse at the end of the day. Does anyone know how long it’s going to take you to do it? They wouldn’t wait for you in the group, so we [were short three people]. They took 30 hostages. Ten people for each one that was missing. My father became a hostage. They laid them out on the ground. They shoved us, the remaining, into the barracks. When I got up in the morning, some of the bodies were missing. In place of the bodies, there was a pair of shoes that the dead body had on when it was lying there. I saw my father’s shoes so I was orphaned when I was 13 years old,” Glauben said. Glauben was tattooed on his arm with the letters “KL.” He said that there are statistics that say on April 23, 1945, out of 1,500 people that were tattooed, only 61 were alive. There was a last count three years ago of 41 people alive which means that in 70 years, 20 people died who had gotten the tattoo. When Glauben was transferred from one concentration camp to another, he saw fields of bodies. “You become brainwashed. You don’t function as an individual that knows what they’re doing or what the future is going to be. The only thing you’re worried about is where I’m gonna get the next bite of food,” Glauben said. 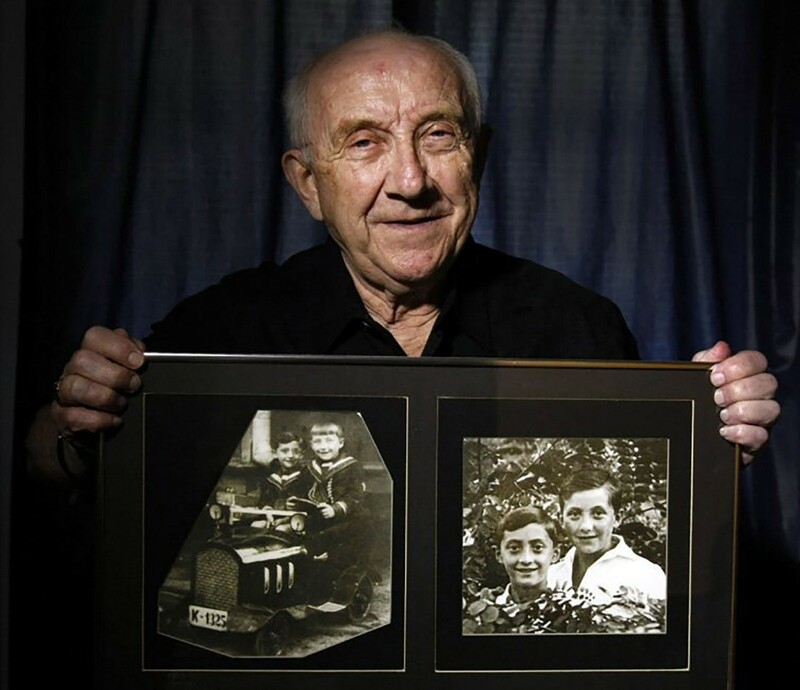 Glauben came to the U.S. on Dec. 13, 1947, and he was placed in an orphanage in New York. When he turned 18, he registered for the draft and he served from 1951-1953 in Fort Hood, Texas. “While I was in Fort Hood, I didn’t have a permanent residence, but I bought a car. I drove from Fort Hood to Dallas, and that’s where I met my wife. She’s a native Texan. I was released in May and then I got married on June 14. I’m still married and I have three children; 2 males and one female in the middle. I have seven grandchildren and one great-grandchild and this is my story,” Glauben said. He closed his presentation by remembering the innocent victims that were killed during the Holocaust. “The youngsters that didn’t make it and couldn’t be here to tell you their story, lived under the same conditions I did, but they should never be forgotten because they were innocent victims and God knows what they could’ve done for us,” Glauben said.